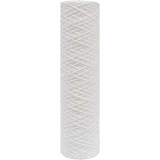 Complete filter replacement set for the IQAir HealthPro Plus Air Purifier. Includes (1) Pre-Max pre-filter, (1) V-5 Cell Gas and Odor filter and (1) HyperHEPA filter. These are filters #1, #2 and #3 as indicated on your HealthPro Plus air purifier. 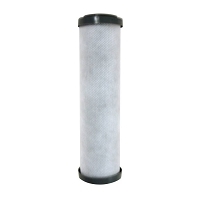 Replace the Pre-Max pre-filter every 6-18 months. 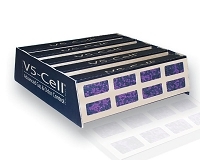 Replace V-5 Cell Gas and Odor filter every 10-21 months and replace the HyperHEPA filter every 17-35 months. This has been the best air filtration system. Filters are pricey, but they work very, very well. IQAir filters are top-notch. 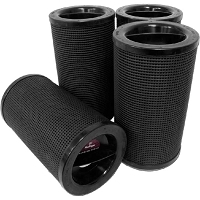 Best Filters is a quality supplier of these replacement filters. Purchase is easy and products are delivered promptly. The only issue I have is that no matter where you shop on-line, the IQAir filters are priced exactly the same! There seems to be a fixed price for all filters. 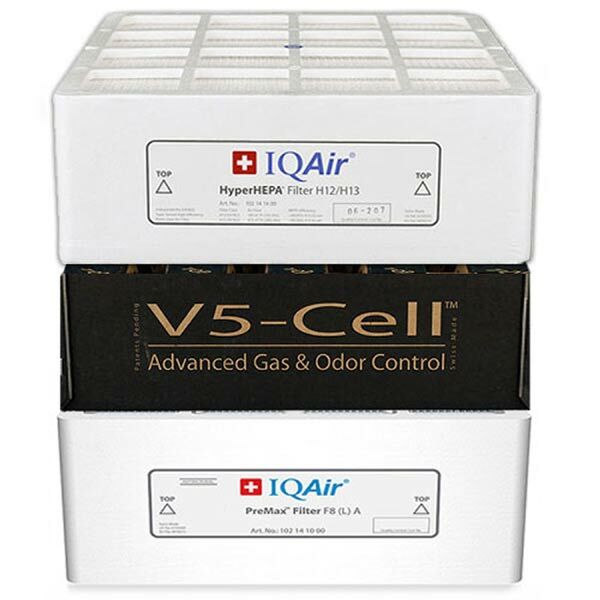 The IQAir replacement filter pack costs about 50% of what the initial cost of the IQ Air machine. While I love the IQ Air machine, the cost of replacement filters is unreasonably high. I am and suggest you look for a more affordable filtering machine. The machine is just a fraction of total cost. Filters costs for the IQAir are expensive. While I love this machine........I am close to buying another with a Total Lower Cost......and higher filtering efficiency. 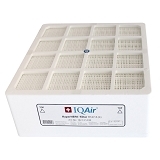 I've had my IQAir HealthPro Plus for nearly a decade and BestFilters offers OEM replacement filters at the best price. This is my third purchase from BestFilters and I will keep coming back. Perfect replacement filters for my IQAir HealthPro with very reasonable pricing. Love my IQ Air filters. I have a health Pro plus and love it. The filters are always well packed and fit perfectly in the machine. Does a great job. 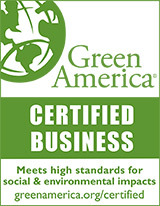 Do your research before buying any air filtration system. IQ Air is best. I've been using an IQ Air filter in my bedroom for about 8 years, and it has all but ended my bouts of bronchitis, as well as lessened the impact of my asthma. I buy filters from Best Filters because they are the ONLY seller on the Web who offers discounts on them. Thanks, keep up the good work! This air filter system cuts all my allergens and dust to the point that my cleaning people cannot believe that I don't dust before they show up to clean my house. I couldn't ever imagine being without it again. IQ Air is one of the best! This has to best air purifiers out there. Pricey yes, but worth every penny. The filters are expensive and we finally chose to replace ours after cleaning them on a basis. This was bought for our daughter many years ago as she has asthma & indoor allergies. We have 2 machines and they do a great job. This site is about the best one you can order from for the price.